The last dog in our Dogs Trust Christmas rehoming campaign is completely loveable Bernie the cross breed. If there is a dog to round up our Dogs Trust rehoming campaign in a spectacular manner, it has to be Bernie the cross breed, a dog that has completely won our hearts and we’re hoping will win yours too. Bernie is a three-year-old cross breed who loves nothing more than to play football with his best pals at Dogs Trust Kenilworth. Friendly and loyal, Bernie is also an intelligent fellow who is sure to entertain with his tricks such as roll over and play dead. 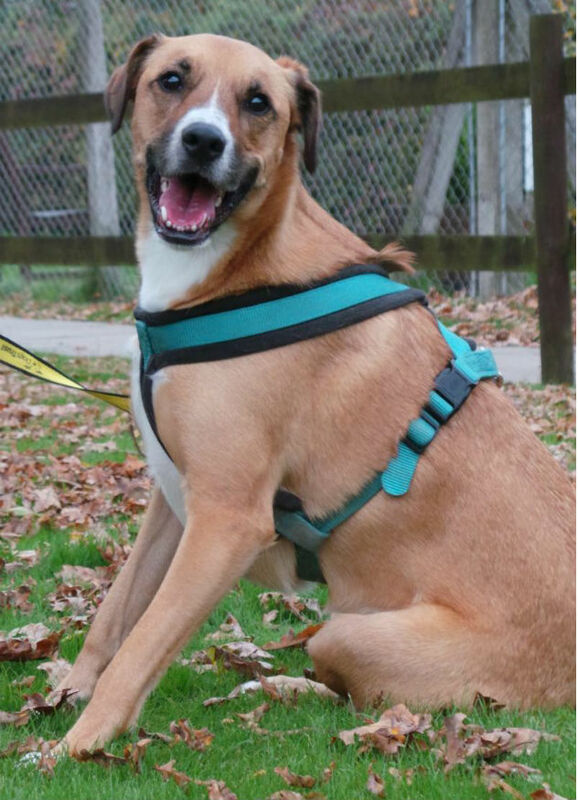 Bernie has been at the centre for a while and just needs someone to give him the chance he deserves. If you think Bernie would make the perfect addition to your family, please call Dogs Trust Kenilworth on 01926 484398 or get to know him at Honiley, Kenilworth, Warks CV8 1NP. Satch is the tenth dog in our Twelve Dogs of Christmas series with the Dogs Trust. Roger and Cena are number eleven in our Twelve Dogs of Christmas series with the Dogs Trust.